We are deep into the holiday spirit here at TUC! To help spread the cheer we are offering 15% off of every product sold at TUC. Enter code TUCHOLIDAY15 at checkout to receive your discount. Valid thru Sunday the 22nd. XMAS delivery may incur additional express charges. Inquire within for specifics. Time to get that desk cleared so you can check all of the things off your list. Let the Winter Whale take care of the cleanup of desktop clutter. Feed the whale and make him happy. The Cork Bowls are as versatile and they are useful. Great for all around the home to keep your little stuff in place. It may be chilly on the California coast, but this graphic stripe keeps us thinking of waves and water all year long. If you are anything like me you are already planning your holiday table. Why not seat your friends and family in comfort and lightweight style? The Hanna Chair is the most versatile and lovely spot to rest your seat this holiday. Choose your finish today! 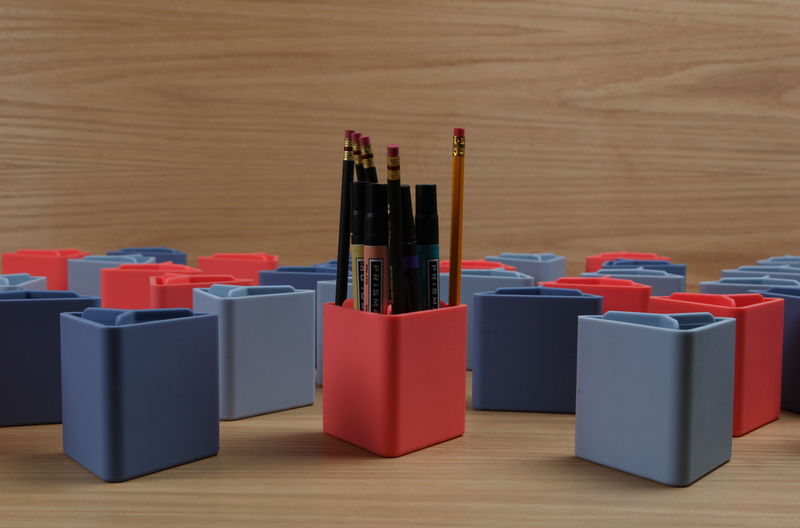 Desktop storage that swells as you fill them. Good for all your analog storage needs.